Click on CD cover to the right for downloadable version of the song. Fantastic! Love the song and visuals. Great to mix old and new images. Keep it going. A surprisingly catchy song! Awesome effort, well done to all. Got a lump in my throat at the Fred Keenor bit! 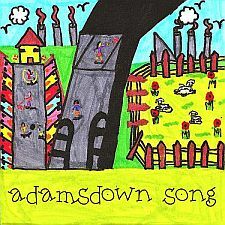 Have just listened Adamsdown song!Love it! Married to Fred keenors grandson so thrilled that he is mentioned! Will pass on to other members of the family! !